It's addictive – and it's free! Play the world's top football prediction game. Play in the World League, Monthly Leagues or create your own. 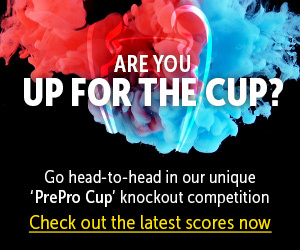 And look out for the unique PrePro Cup knockout competition! Want to see what it's all about? Take a look around! Choose a league that interests you. PredictorPro lets you submit predictions for as many leagues as you like, and it's always free to play. Have a look around and as soon as you feel like playing, you can sign up. Be careful though, our games are incredibly addictive. PredictorPro Football Play weekly, monthly or for the full season - play against your friends and the world now!